Energy, a Klipsch Group, Inc. brand, just announced the introduction of the Energy Power EM-2.1, the brand's first-ever multimedia speaker system. The Energy Power EM-2.1 enters the brand's speaker lineup and broadens its offering of easy-to-use, plug n' play products. Users need simply to plug both the speakers and a computer into the back of the EM 2.1 subwoofer with the provided cables and turn up the volume to enjoy. 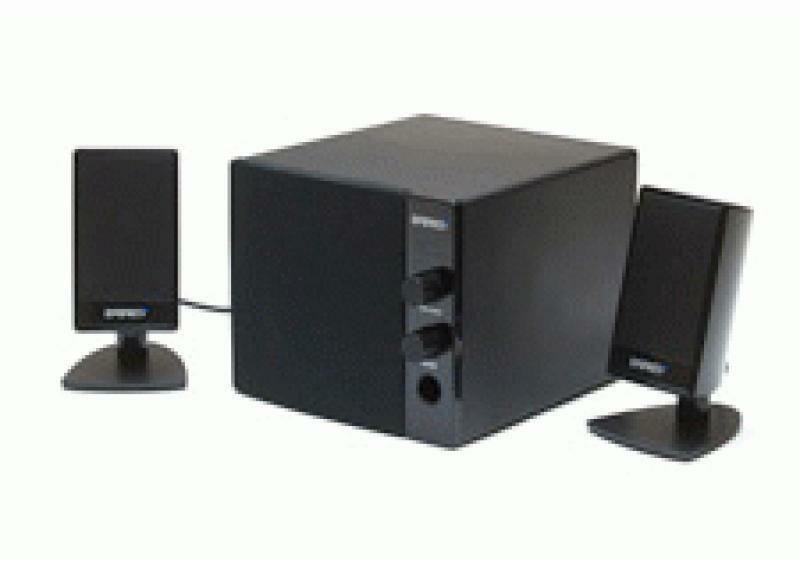 • Read more subwoofer news from HomeTheaterReview.com. • Learn more by reading our Bookshelf Speaker News section. The Energy Power EM-2.1 multimedia system comes complete with a three-inch, front-firing subwoofer and two satellite speakers with fiber composite cone drivers. Available in a high-gloss, black-satin finish, the speakers easily sit on either side of a laptop or computer monitor. The compact subwoofer is small enough to fit on a desktop space, eliminating the need for floor space and the addition of wires. By simply plugging the sub into the wall and hooking the speakers into the sub, listeners can turn up playlists, disappear into the world of online gaming or take in a movie. The Energy Power EM-2.1 will retail for $99.99 (U.S. MSRP) and be available through authorized Energy retailers in November 2011.